When I was asked to create a dress and trainers look by Bank Fashion, I was a bit apprehensive. I didn't want to go too 'Lily Allen circa 2006'. So I decided to play on the sports-luxe trend that has been big this season. 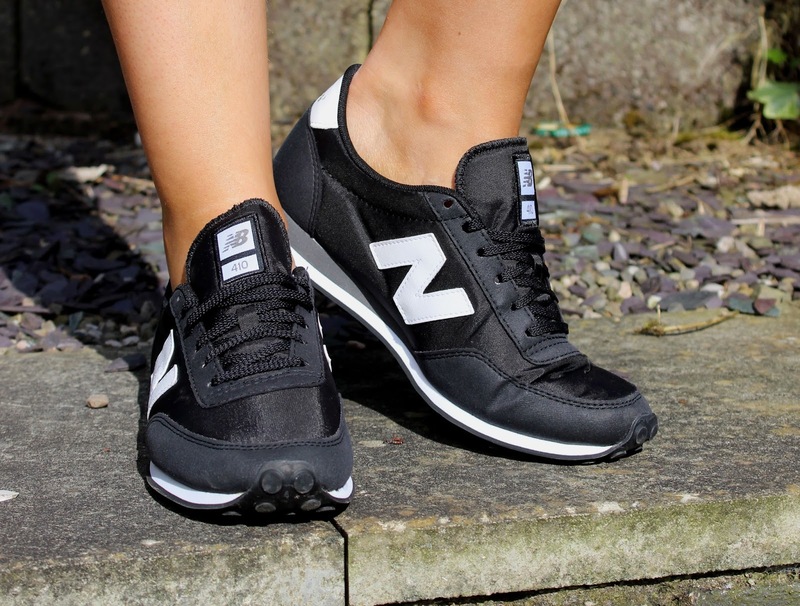 I am not really a big wearer of trainers, and I was totally against the whole New Balance trend when it hit. I am a bit of a nonconformist when it comes to things like that. But sometimes I do have to give in, and I am glad that I have, as I am a little in love with these right now. 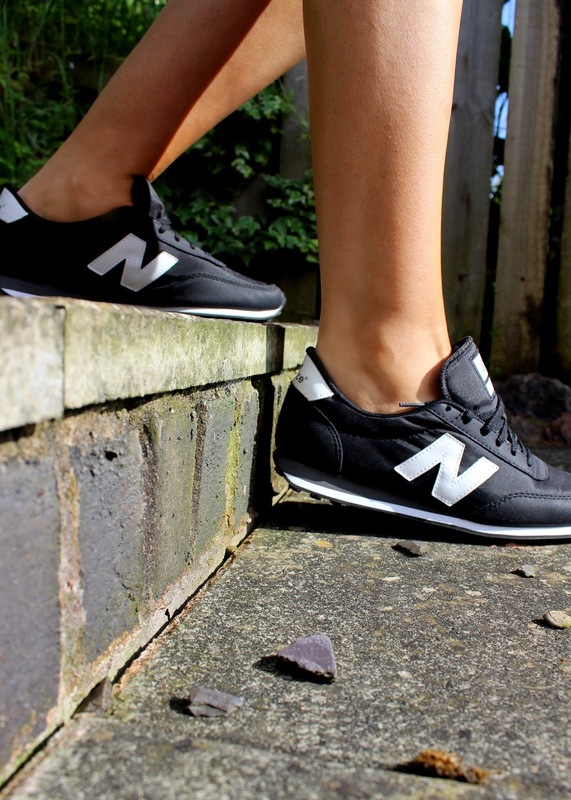 They are so comfy and I love the simplicity of them. I have a feeling they are going to be making a few appearances in mine AND my boyfriends wardrobes, as we are the same size shoes, which does come in handy sometimes. I chose this Bill & Mar dress from Bank as I loved the sporty feel to it with the gorgeous green palm print thrown in. The bold white and black sections of the dress mixed with the green really caught my eye, and I thought it would go perfectly with the trainers. It's now actually half price on Bank online, so definitely check them out! I threw in a bit of fuchsia pink in the form of my lips and my ponyfur clutch, to bring back the girly in the outfit. So what do you guys think of my take on dressing down a dress? Love the design of the dress! So pretty! You look amazing!